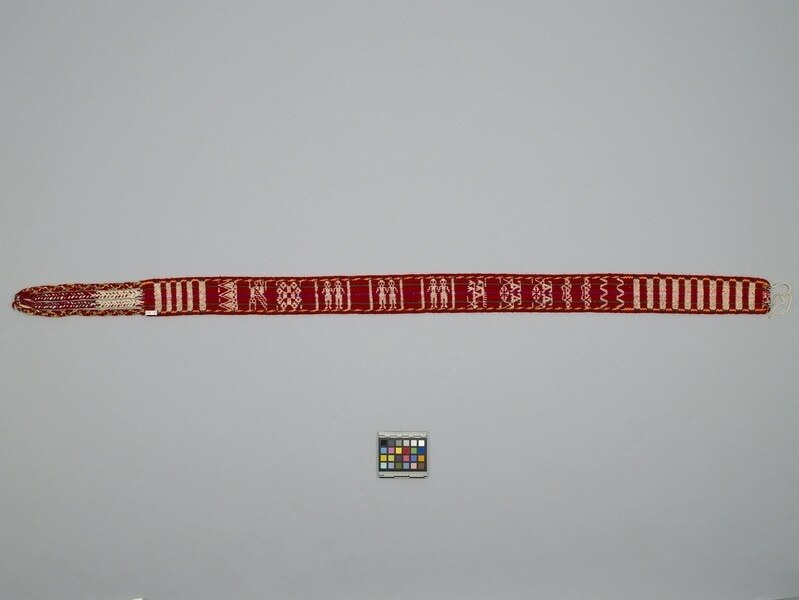 Sash woven with stripes and zigzag motifs at each end, geometric motifs, warrior figures, and pairs of humanoid figures in red, green and purple on an off-white ground. The border is composed of a band of alternating yellow and green with red at the outer edge. 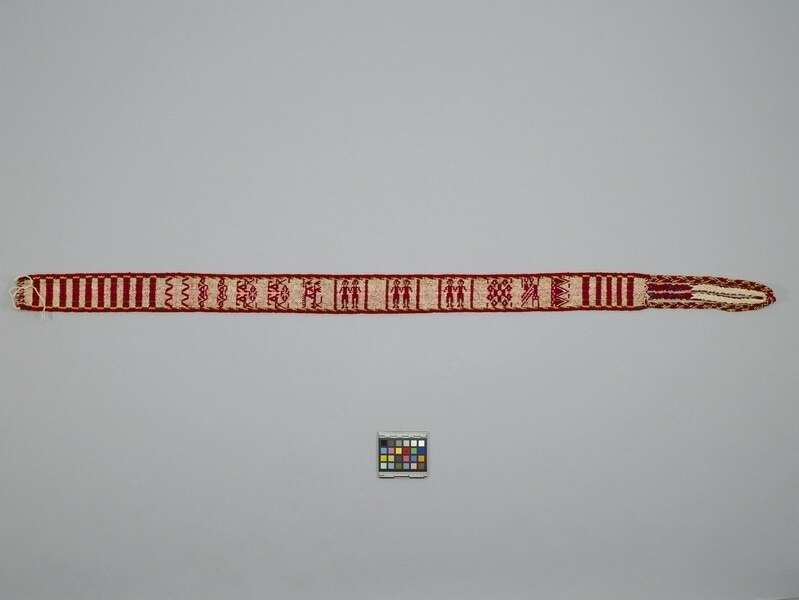 One end is finished with four braided strands tied together at the ends.